Astoria & Queens used to be heavily populated with Italian immigrants, particularly in the first half of the 20th century. They brought with them their knowledge and skills about food and wine, the products of which became, in time, a part of the American culture. This is a report about the Cassinelli Food Products company. It's one of the last old world Italian pasta making companies in Queens. 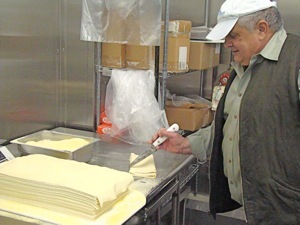 The Cassinelli pasta company makes fresh pasta in the Astoria neighborhood of Queens daily. 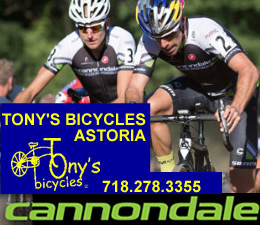 Click here to read the full report about fresh pasta in Astoria Queens NY. Astoria / Queens Buzz. Bon Giorno. Let me take you back in time through a little bit of Astoria’s culinary history. This is the story about Italians, pasta and a small little pasta making company that survives to this day. 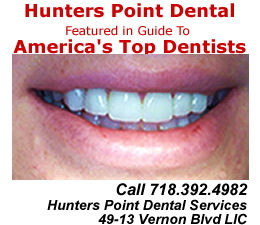 Many waves of Italian immigrants have come to New York over the past one hundred or more years. 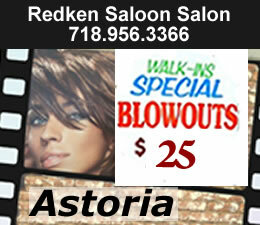 Many chose to settle in Astoria, which had been heavily populated by German Americans since the late 1800’s. Each wave of Italian immigrants brought with them their culinary tastes and skills, giving this section of Queens a great many Italian restaurants and grocers. 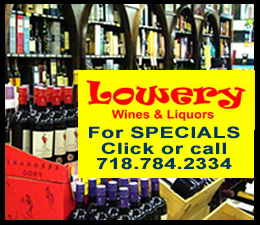 Many of these restaurants and shops continue to this day, providing the upper Ditmars section of Astoria with an Italian Greek flavor. Pasta originated in many sections of the globe hundreds to thousands of years ago, but many of the variations of pasta, with which we are familiar today, appear to have originated in the northern regions of Italy. The following is a short list of pastas and the regions from which they are believed to have originated: ravioli [Venice], fettuccine [Rome], tortellini [Emilia / Romagna], linguine [Campania]; and there are many, many more. In the 1800’s pastas began to be produced in small little shops, which began supplying local restaurants and markets in Italy. The Cassinelli Food Products company is sort of a modern version of one of these small pasta making shops. Even today in the 21st century, this fun mom and pop shop, continues to thrive by selling freshly made pastas to local restaurants, specialty grocery stores and of the local residents in the neighborhood. 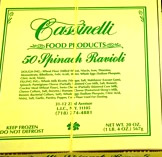 Cassinelli Food Products has been jointly owned and run by Antonio and Nella since 1972. These two Italian immigrants have been in the business for nearly a century, combined. And they appear to run it for ‘the love of the game’ more than anything else. I had the opportunity to speak to them recently during which they gave me an oral history of the Cassinelli family and how Cassinelli Food Products came to be. According to hearsay legend, the Cassinelli’s came to America and began producing pasta in the early part of the 20th century [about 1912]. 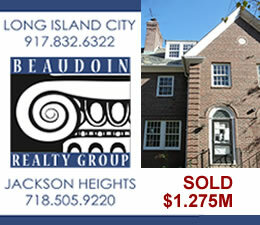 It is believed that their first factory was established in Fort Lee New Jersey, from where they supplied a lot of the dry goods stores in New York City. At the time the Cassinellis were worthy competitors to the Ronzoni pasta company, which was located in Queens. During the Depression, the Cassinellis hit upon hard times and from what can be pieced together, they closed shop and began working for Ronzoni. They worked at Ronzoni from the 1930’s into the 1950’s during which time the Ronzoni pasta company grew into one of the largest pasta makers in the nation. As an aside, the Ronzoni company ceased pasta making operations in Queens in 1993 [on Northern Blvd and 35th] and completely vacated Queens in 1998. During the 1950’s the Cassinelli’s decided to go out on their own again. 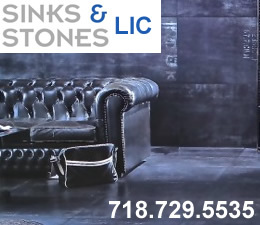 This time they opened up in Astoria on 27th Street and 23rd Avenue. Eventually they moved down 23rd Avenue to 31st Street, just across from where the Cassinelli Food Products shop currently stands today. Click here to view a map showing the location of the Cassinelli Food Products company. Well over forty years ago, Antonio and Nella, the current owners, worked for the Cassinellis in the family’s pasta making shop. As the Cassinelli’s aged, they eventually sold / transferred the company to Antonio and Nella. Antonio and Nella gave me a shop tour / pasta making lesson one Saturday morning. Antonio started by taking me through the pasta making process. It all starts with three simple ingredients: flour, eggs and water. These are put into the mixer and then pressed out in a layer of soft but consistent pasta dough. 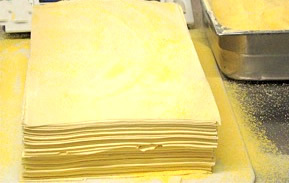 The pasta dough is then run through another machine where it’s pressed into beautiful white sheets of pasta, which are then run through the cutters to create the various pasta shapes, from linguine to tortellini to ravioli. For the tortellini and the ravioli, meat and cheese fillings are needed. 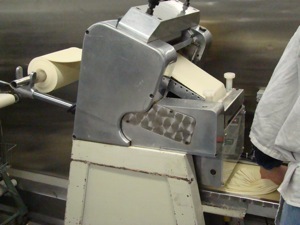 The ricotta cheese is softened by a machine, which twirls the cheese around until it’s has a spreadlike consistency. 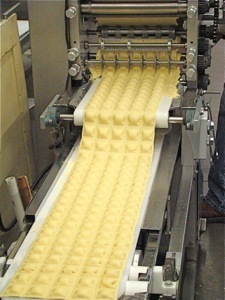 The cheese is then inserted into the ravioli machine and pressed between the two sheets of pasta layers. Nella specializes in the fillings, particularly the meat used in the tortellini. The meat is minced, seasoned and cooked in a separate clean room. 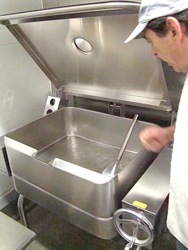 Like the ricotta cheese used in the ravioli, it is then poured into the tortellini machine, wherein the pasta sheets are added. 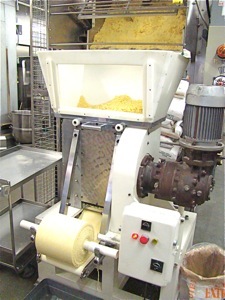 The tortellini machine presses out the mix of a top layer of pasta, over a layer of the seasoned minced meat, and sealed atop the lower layer of pasta. It kind of made me hungry for some fresh pasta just watching all of this. Two brothers who hail from the Parma region of Italy, Rodolfo and Aldo, are also a part of the operation. 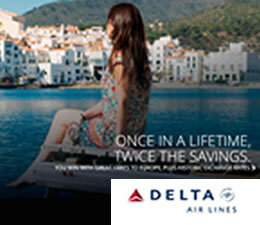 Both collaborate seamlessly in keeping the machines operating. They manage the mixers, move the pasta sheets from mixer to the various pasta presses, they pour the cheeses and meats into the ravioli and tortellini making machines, and pull the final product from the cutters. The cutting blades determine the type of pasta to be made, as it is the pasta shapes that give them their unique names. The final product is then moved onto the packaging table where the pastas are inserted into boxes or bags and weighed by Gaovanni. Antonio’s role is overseeing everything, as he moves around the shop, managing the entire process, ensuring that each process is moving along properly, fine tuning this or that as the operation requires. Antonio and Nella gave me some pasta samples, which I gladly took home and cooked. They gave me some ravioli and a special pasta [top secret] which they had custom cut while I was visiting. I cooked the special cut pasta to a doughy consistency, like fresh Italian pasta made at Christmas time. And I cooked the ravioli to a lightly browned consistency, letting the savory flavor of the ricotta cheese spill out onto my tongue, before it made its way down into my stomach. Aaahhh, it takes me back to a simpler time, when pasta making was still as much of an art as a part of a job. Arrivederci. 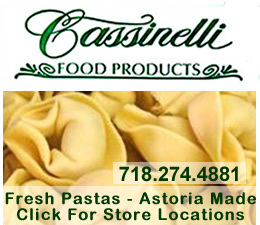 Click this link to obtain a map and the telephone number of Cassinelli Food Products - fresh pasta in Queens.